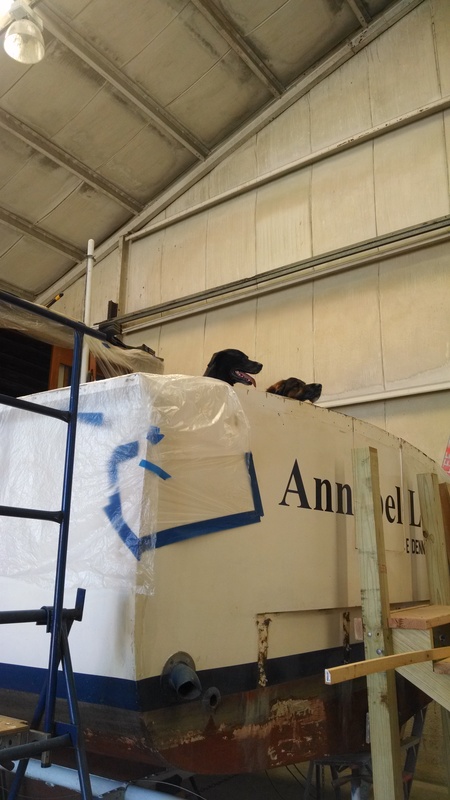 My loyal crew, taking a peek over the stern. Why are we still in the same position? Writing. Lots and lots of writing, though obviously, very little of it here. Yes, Evacation Route WILL be completed — soon. That’s the most I’ll say at this point. Soon. I’ve learned not to project completions, as inevitably that sets some guy named Murphy into giggling fits, at which point a part can’t be found/someone gets sick/computers crash/I find a large tree in the middle of my little kitchen. But this Murphy dude, he’s a got one thing going for him — he’s one hell of a teacher, whether you want to learn or not. And the lesson of the last year (+)? Don’t waste a second. Time is a sneaky thing. Ignore the seconds slipping by, and they start to group together, form minutes, then hours, days, years…you get the idea. It’s like an avalanche — it all starts with one pretty, delicate, innocent little flake. So fragile and fleeting, barely worth the notice. But let them start building up, and gradually they begin to blanket every surface, silently growing in weight and force. Eventually you have something massive enough to scour a mountainside of every tree or structure in its way. In my life, there’s plenty of dust, but it rarely settles for long, and the minute it does, the minute I sweep it up, I’m right back to making more. The boat is a perfect example. But at some point in the dust-loop (at least that’s what I’m calling it,) it occurred to me that I don’t get this time back. I suppose that comes along with my odometer creeping up on the half-century mark. And I started to realize many of my seconds were evaporating, with little to show for them. Not anymore. Now, I have plenty to show for my time. I just haven’t shown anyone yet. (That day is approaching, and I’ll be putting a call out for a few beta readers to give me their feedback.) Yes, there’s all the good, bad stuff. Plenty of murder and mayhem, plenty of twisted humor and twisted plot twists. My top priority for every free minute is WRITING. These days, I have more on a page by ten in the morning than a full day’s worth in the past. A story far stronger than anything I’d ever written is taking shape by the day. And even when I’m not writing I’m still writing, jotting down notes even as I make dinner or walk the dogs. In the past I posted here more. I’d like to hope in the future I will again, but for the time being, I’m staying right where I am, in my self-imposed interweb exile. There are only so many hours in the day, and the majority of those hours are going into chapters of writing, with occasional breaks for working on the boat, walking the dogs, eating, and sleeping. Don’t get me wrong, we all need some downtime, and I’m giving myself that as well, catching up on some long overdue reading. And occasionally I even sleep…in moderation. Everything is good in moderation.